Apple has released iOS 11.3 beta 2 to iPhone and iPad users engaged in the iOS beta testing program. Apple also released the second beta of tvOS 11.3, and later released new second beta of macOS 10.13.4 as well. The second beta build of iOS 11.3 includes a few new features, including a new Settings subsection for a devices battery that indicates battery health, and if the device is throttling itself with a power management feature. If the device is throttling itself, you can apparently toggle that off. 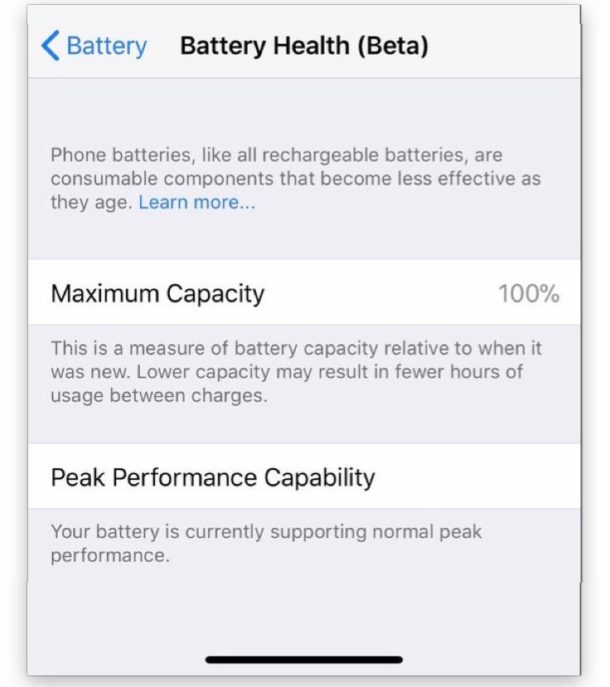 As of now the setting is labeled as “Peak Performance Capability” under the “Battery Health” subsection of the Battery settings. iOS 11.3 beta also includes several new Animoji icons for iPhone X, including a dragon, skull, lion, and bear. A handful of other minor adjustments or features are also included in iOS 11.3 thus far, with some minor changes to the Health app, details about download size in the Updates section of the App Store, and the iBooks app is now renamed as “Books”. Messages in iCloud is also apparently coming in iOS 11.3, which simply stores your iMessages in iCloud, rather than just in a backup. Users enrolled in the beta testing program for iOS can find the latest version available to download now from the Software Update mechanism of the Settings app. Apple has set a somewhat vague “Spring” target release date for iOS 11.3 to become available to the general public in finalized form, suggesting we’re a ways off before the beta period ends and a final public build is available. 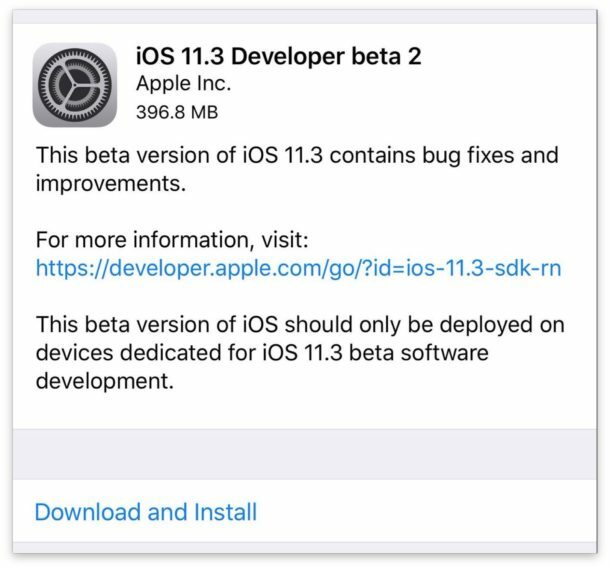 In the meantime, anyone can beta test iOS 11.3 through the Public Beta program or the iOS Developer Beta program, if desired. The most recent stable versions of iOS remain iOS 11.2.5, and macOS remans macOS 10.13.3.